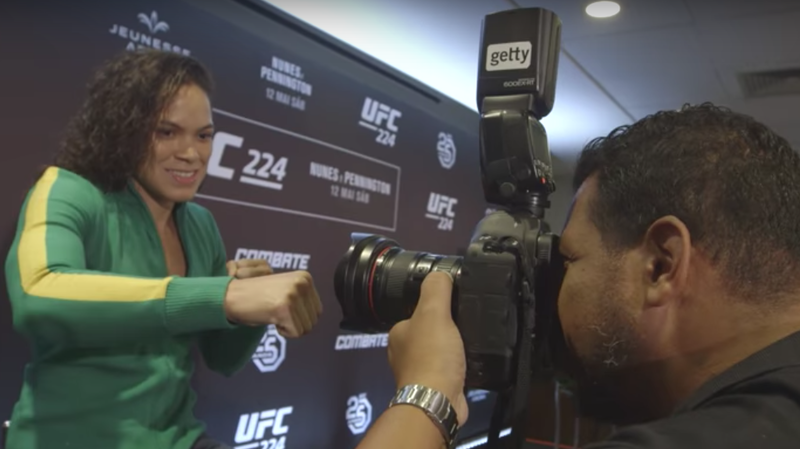 Following her fifth round stoppage win at UFC 224, UFC women’s bantamweight champion Amanda Nunes and middleweight Jacre Souza, are two of 11 fighters given medical suspension longer than 30 days, following UFC 224. While Nunes would take the win and Souza would take the loss, both would be handed an 180 day suspension that would require X-rays of their right foot, and clearance from their doctors. UFC 224 took place May 12 at the Jeunesse Arena in Rio de Janeiro, Brazil. The night’s main card aired live on pay-per-view. A complete list of UFC 224’s medical suspensions can be seen below.